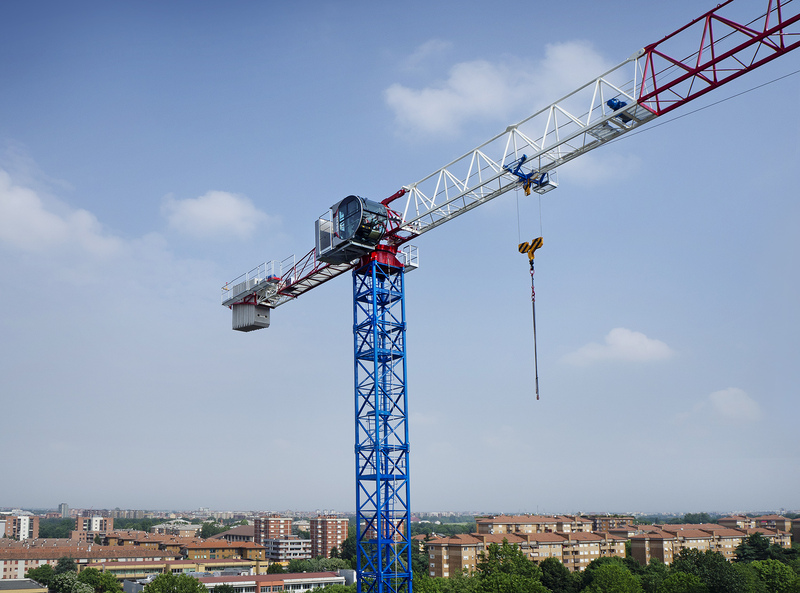 The MRT159 arrives onsite with all parts preassembled, ropes passed, and rope connections installed. 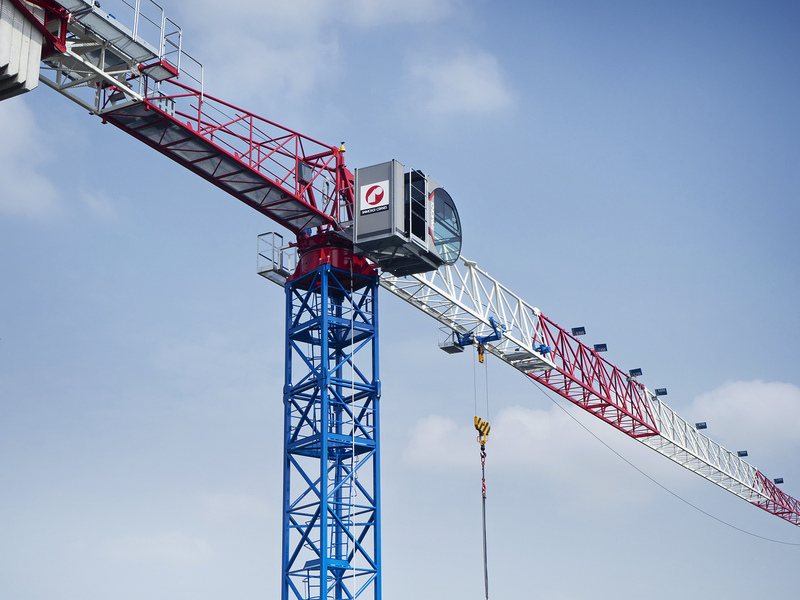 The small and useful accessories facilitate having everything necessary positioned close to point of installation. 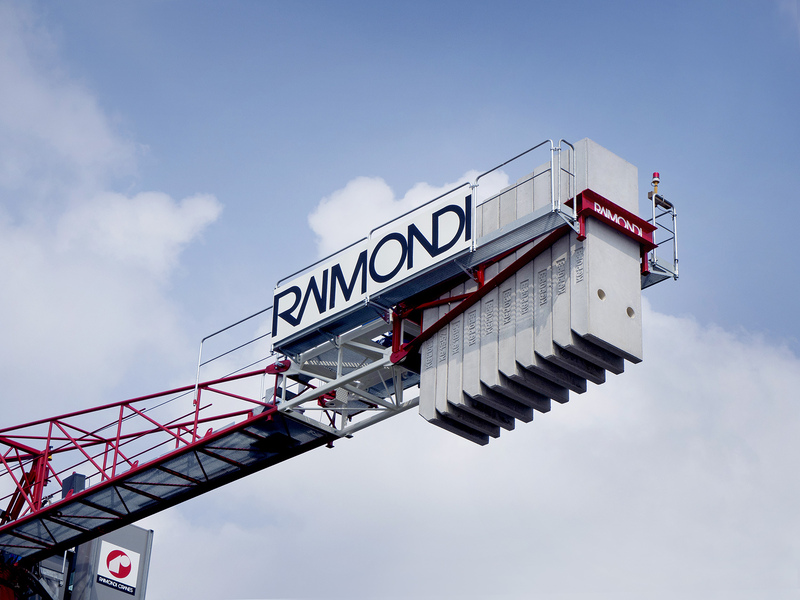 Many of the cranes parts are preassembled at Raimondi headquarters, and all removable parts when installing are provided with small ropes to prevent falling. 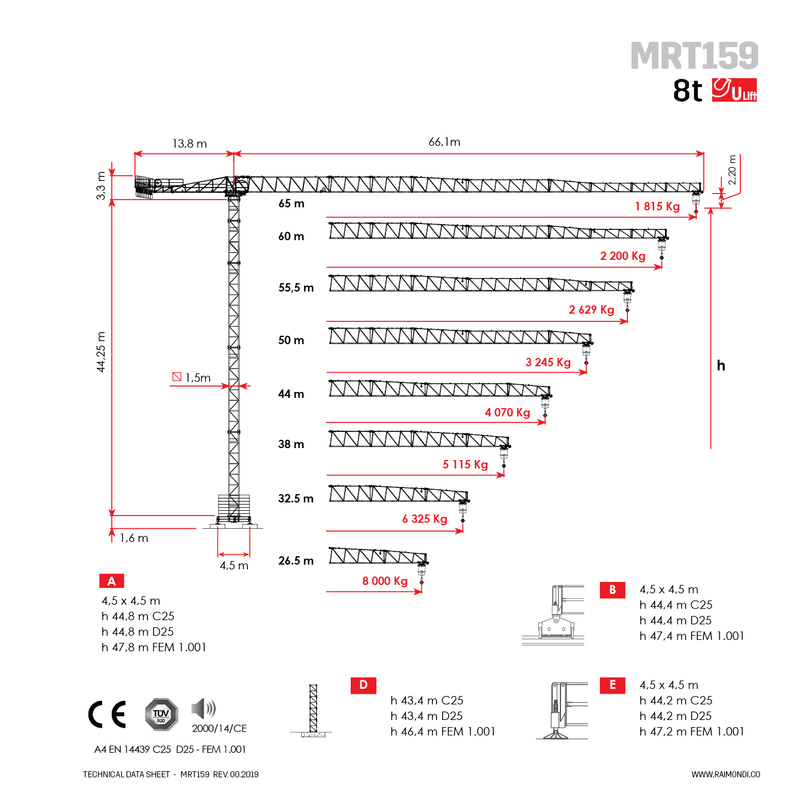 The MRT159 is equipped with a 65 meter jib length and a tip load of 1,650 kg for a maximum load of 10 tonnes, and a tip load of 1,815 kg for a maximum load of 8 tonnes. 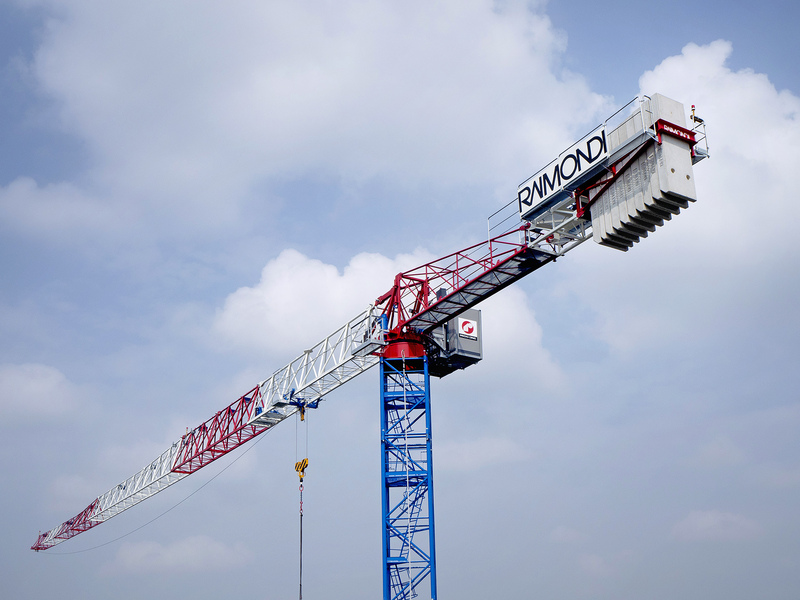 It has more jib configurations available and a selection of two different winches with respective powers of 30 kW and 45 Kw.